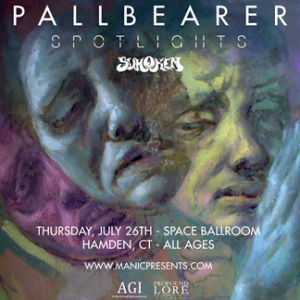 This week we have a giveaway for Arkansas doom metal band Pallbearer’s show at Space Ballroom on 7/26! 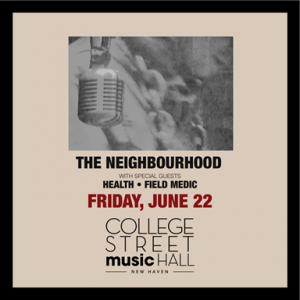 Tomorrow The Neighbourhood (known for the song “Sweater Weather) is coming to College Street Music Hall, and tickets are selling fast so better buy them while you can! Fill out this google form (linked) to enter for a chance to win a pair of tickets to see Arkansas doom metal band Pallbearer at Space Ballroom in Hamden, CT with Spotlights and SUMOKEM on July 26th! INFO: Since debuting his musically revolutionary Talking Dreads project live at the High Times Music Festival on the beach in Negril in late 2015, the charismatic Jamaican-born singer and performer has electrified audiences at over 100 shows across North America – spinning the heads of initially skeptical Talking Heads fans, and getting everyone else grooving along to the infectious, joyous rhythms and jubilant spirit of his native island. 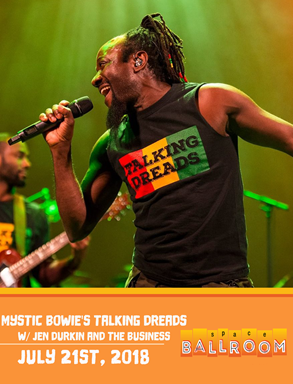 He gathered old friends he had played music with since childhood, along with younger musicians, legendary Jamaican artists and other surprise guests to capture all the magic of his live performances on the epic, 13 track recording Mystic Bowie’s Talking Dreads. INFO: With an encyclopedic musical knowledge that could power a streaming service search engine, fashion sense right at home in Scott Pilgrim Vs. The World, and the uncanny superpower to craft irresistible pop anthems, the 21-year-old singer, multi-instrumentalist, and producer is about to make a big splash on his sophomore album Almost Real. 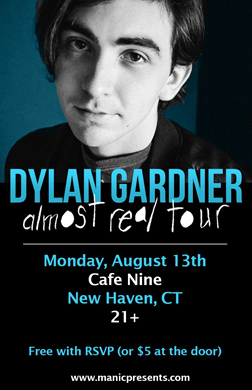 With his Warner Bros. Records debut, Adventures In Real Time, which he co-produced and served as sole writer for, Dylan made a big first impression resonating with everyone from The Huffington Post to YouTube personalities like Shane Dawson and The Gabby Show who he started writing and producing songs for. INFO: Once in a while a group comes along that decides to make music simply because they have no other choice – they are addicted musicians. 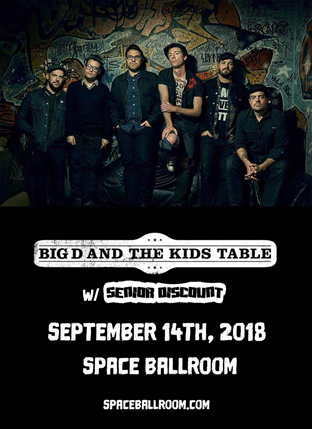 For twenty-two years Boston’s Big D and the Kids Table has proven just that, showing they truly are the DIY kings who are ‘Built Up From Nothing’. 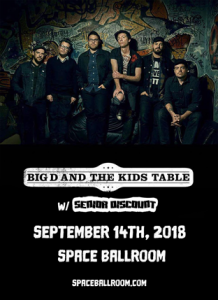 McWane describes the group as – “Modern American gypsies” and you will feel just that during one of their explosive shows. 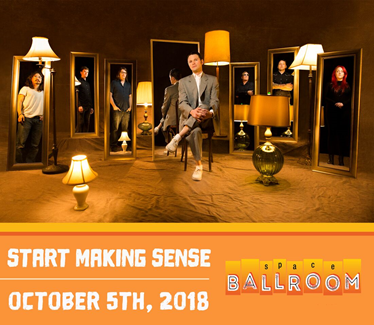 INFO: If David Byrne is one of the geniuses of modern times, then Start Making Sense is a tribute to genius. The musicians in this 7-piece Talking Heads Tribute take pride in faithfully recreating the music of Talking Heads entire career, including songs Talking Heads never performed live! Together they bring much of the Heads unique live show to the stage, with front man Jon Braun as a spot-on David Byrne, some have said this is the closest thing you’ll get to seeing Talking Heads again. INFO: Craig Ferguson entered the world of late night comedy following a diverse and eclectic career that encompasses film, television and the stage. 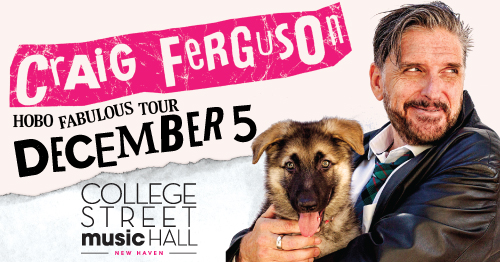 In December 2014, Ferguson concluded his ten-year run as the host of CBS’s “The Late Late Show with Craig Ferguson,” which set all-time viewer records, earned him a Primetime Emmy nomination and the 2009 Peabody Award for Excellence in Broadcasting for his interview with Archbishop Desmond Tutu. As of February 2017, Craig launched his new SiriusXM program “The Craig Ferguson Show” which is broadcast live on Comedy Greats every evening. INFO: The second album from The Neighbourhood, ‘Wiped Out!’ came to life in a makeshift living-room studio near the band’s Southern California hometown. After spending three months dreaming up riffs and beats and melodies at a live-in studio by the ocean, singer Jesse Rutherford, guitarists Jeremy Freedman and Zach Abels, bassist Mikey Margott, and drummer Brandon Fried took up in Abels’s mom’s Simi Valley home, set up their equipment on a ping-pong table, and began piecing those otherworldly sounds into songs. 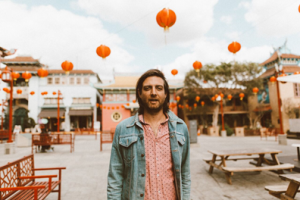 The L.A.-based band built off their hip-hop-meets-alt-pop aesthetic and shaped a whole new sound that’s stark but intricately layered, moody but hypnotically melodic. 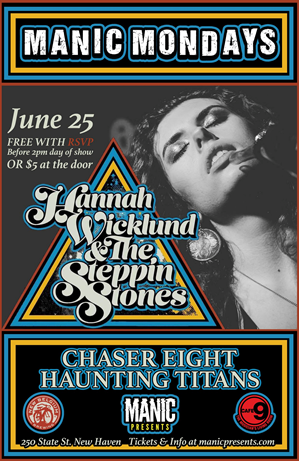 INFO: Hannah Wicklund & The Steppin Stones are fronted by a 20-year-old powerhouse guitarist, vocalist and songwriter. 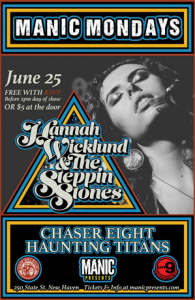 The South Carolina-born artist, who formed the band as an eight-year-old, has developed a powerful and sublime synthesis of skills and makes it clear that the future is hers to conquer. INFO: Right now, Tim Barry is detoxing. Not from drugs or alcohol, but from his own music. 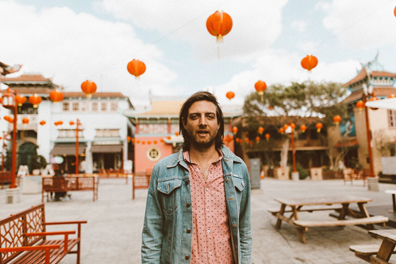 “When the record’s finally done, and the master is approved, I erase every file that’s been sent to me and I throw out all the CDs with all of the rough mixes. I get rid of everything,” says Barry. And that’s exactly where he’s at, in the middle of cleanse from his own work. But on September 8, he’ll sit down with his new record, High On 95 (Chunksaah Records), one last time. And like everyone else listening to it that day, it’ll be for the first time. 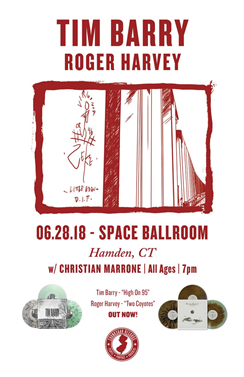 And what those people will hear—along with the artist himself—is a record that explores the human condition in classic Tim Barry fashion.